These neon office signs have borders that are red and yellow with neon glass tubing. 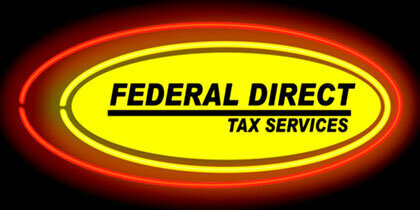 "Federal Direct Tax Services" is made with an Acrylic Face backlit by Real Neon tubing, utilizing our proprietary Neon Plus® Technology for a brighter and longer lasting effect, and is Yellow and Black. The borders are Red and Yellow Neon glass tubing. 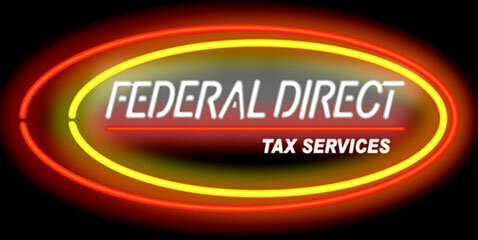 "Federal Direct Tax Services" is made with an Acrylic Face backlit by Real Neon tubing, utilizing our proprietary Neon Plus® Technology for a brighter and longer lasting effect, and is Yellow and Black. Perfect for tax office advertising. "Federal Direct" is in White Neon glass tubing with letters measuring 2" tall. The borders are Red and Yellow Neon glass tubing. 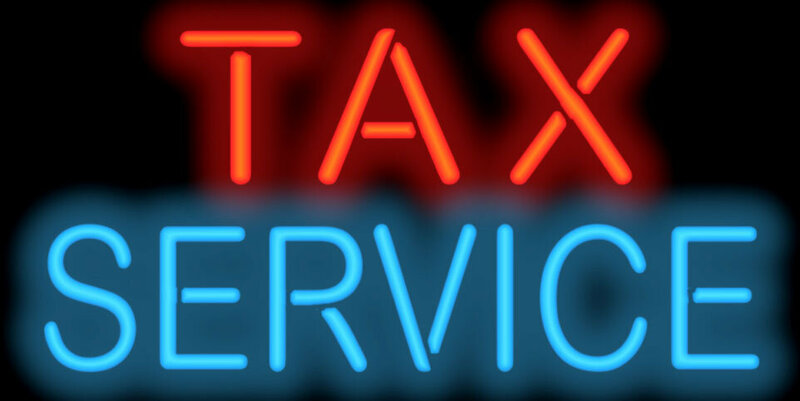 "Tax Services" is made with an Acrylic Face backlit by Real Neon tubing, utilizing our proprietary Neon Plus® Technology for a brighter and longer lasting effect, and White. 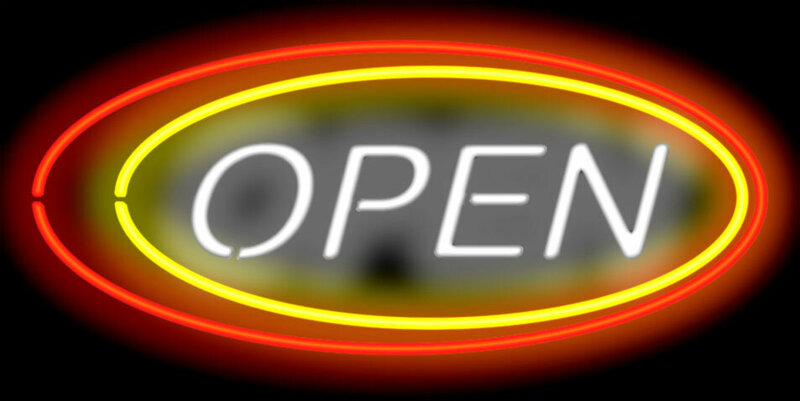 "Open" is in White Neon glass tubing with letters measuring 4" tall. The borders on these neon office signs are red and yellow with neon glass tubing. "Fast" is in White Neon glass tubing with letters measuring 4" tall. 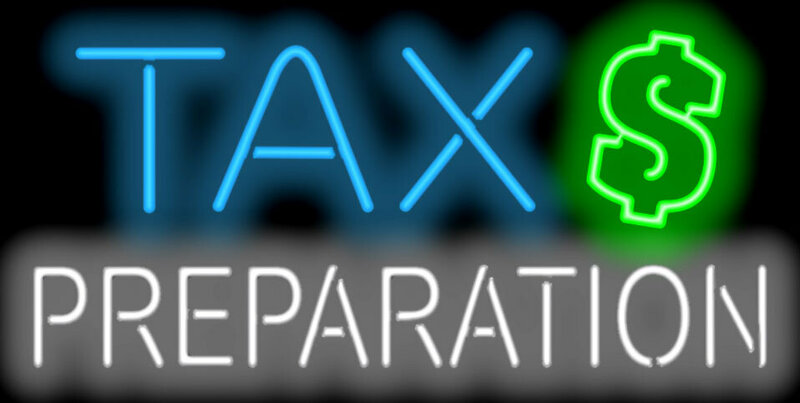 "Tax Refunds" is in Green Neon glass tubing with letters measuring 4" tall. The accent lines are Rich Blue Neon glass tubing. "Income" is in Blue Neon glass tubing with letters measuring 4" tall. "Tax" is in Red Neon glass tubing with letters measuring 4" tall. "E File" is in Green Neon glass tubing with letters measuring 7" tall. The graphic is Yellow Neon glass tubing. "Tax" is in Rich Blue Neon glass tubing with letters measuring 6" tall. "Preparation" is in White Neon glass tubing with letters measuring 4" tall. 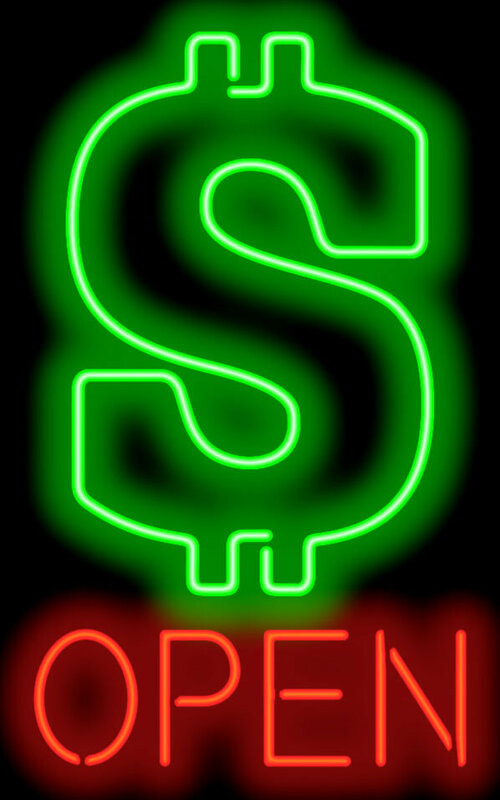 The "$" is Green Neon glass tubing. 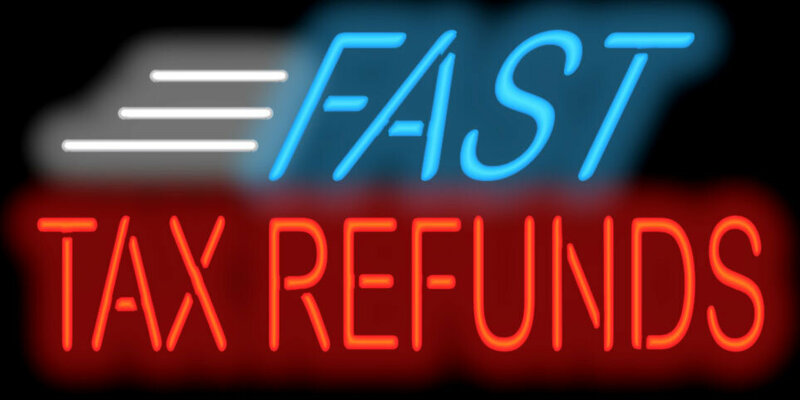 "Fast Tax Refunds" is in Red Neon glass tubing with letters measuring 5.5" tall. "Fast" is in Rich Blue Neon glass tubing with letters measuring 6" tall. 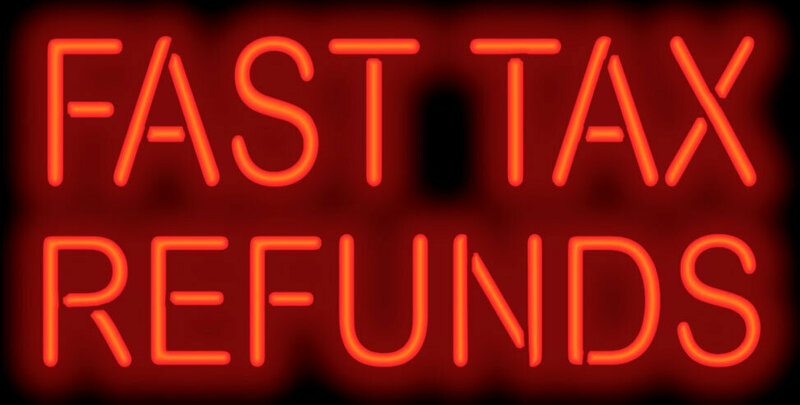 "Tax Refunds" is in Red Neon glass tubing with letters measuring 5" tall. The accent lines are White Neon glass tubing. "Tax" is in Red Neon glass tubing with letters measuring 6" tall. "Service" is in Blue Neon glass tubing with letters measuring 6" tall. "Income" is in White Neon glass tubing with letters measuring 5.5" tall. "Tax" is in Red Neon glass tubing with letters measuring 8" tall. The border is Rich Blue Neon glass tubing. "Tax" is in Red Neon glass tubing with letters measuring 6" tall. "Service" is in Green Neon glass tubing with letters measuring 6" tall. The border is Rich Blue Neon glass tubing. Perfect for tax office advertising. "Income Tax" is in Red Neon glass tubing with letters measuring 6.5" tall. "E File" is in Green Neon glass tubing with letters measuring 7" tall. The graphic is Yellow Neon glass tubing. 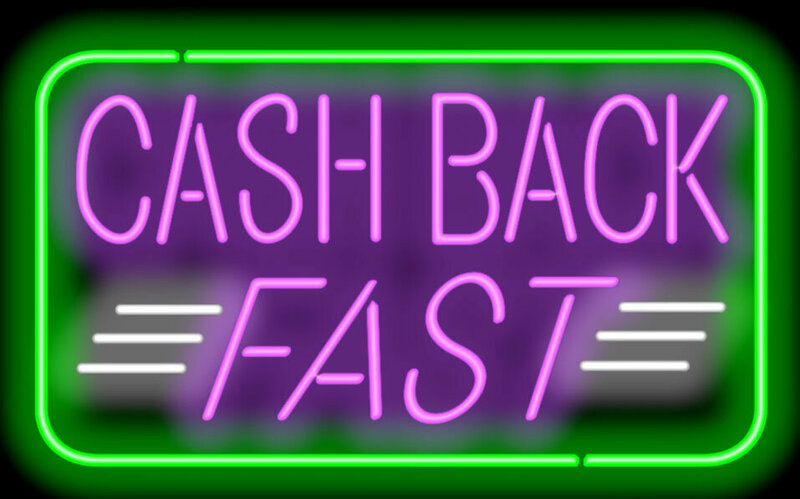 "Cash Back Fast" is in Purple Neon glass tubing. The graphics are White and Green Neon glass tubing. 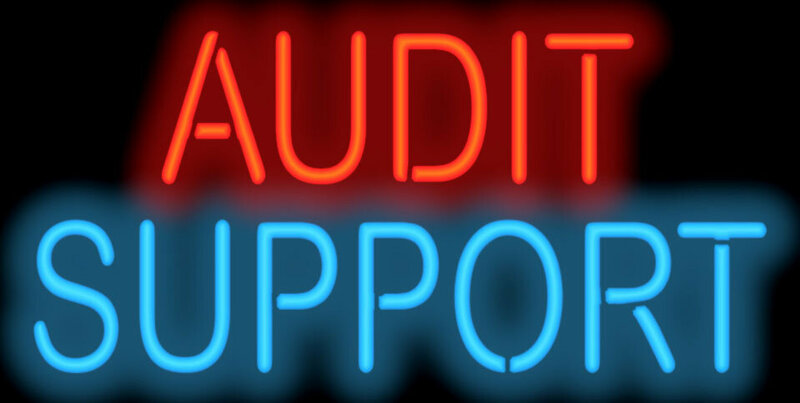 "Audit" is in Red Neon glass tubing. "Support" is in Blue Neon glass tubing. 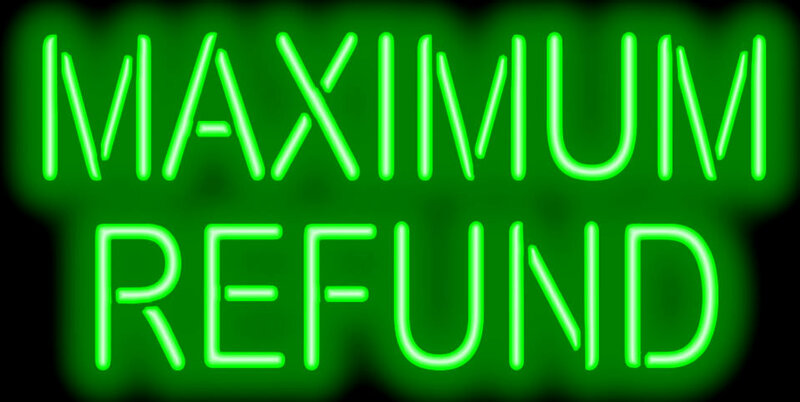 "Maximum Refund" is in Green Neon glass tubing. 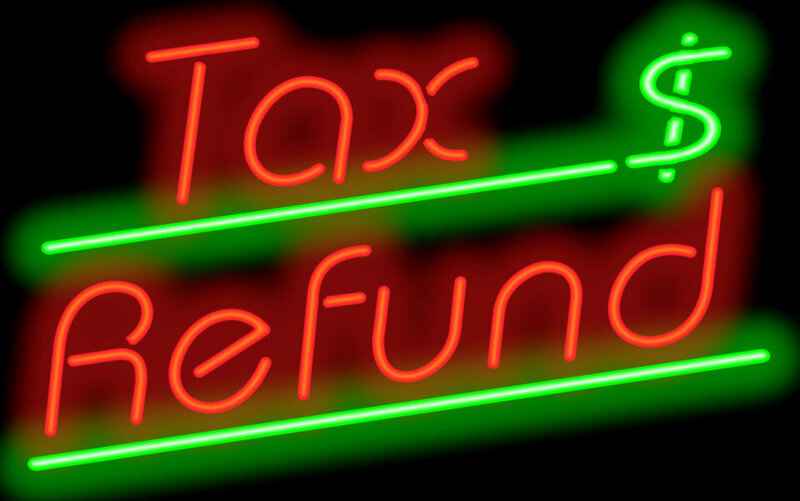 "Tax Refund" is in Red Neon glass tubing. The graphic is Green Neon glass tubing. 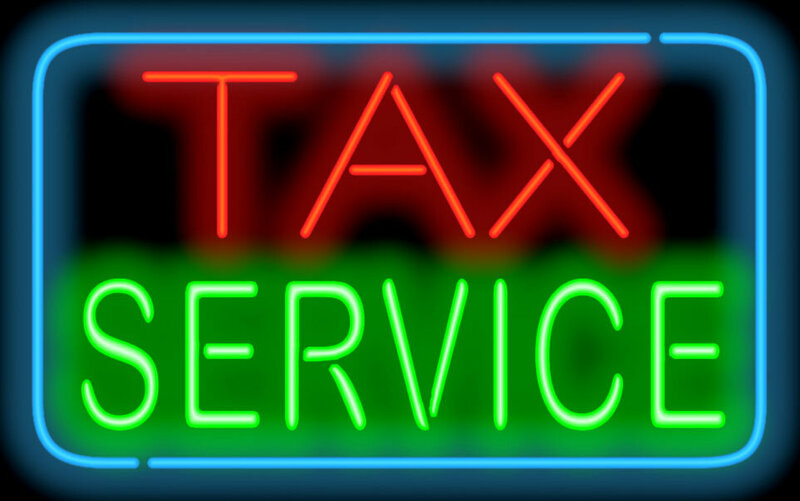 Great for tax office advertising! 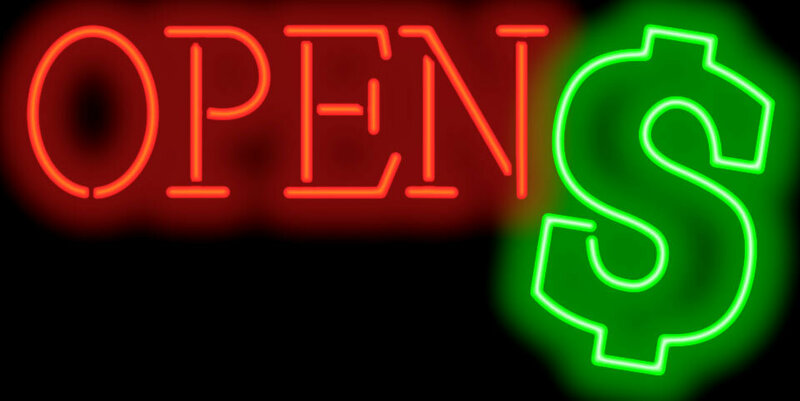 "Open" is in Red Neon glass tubing. 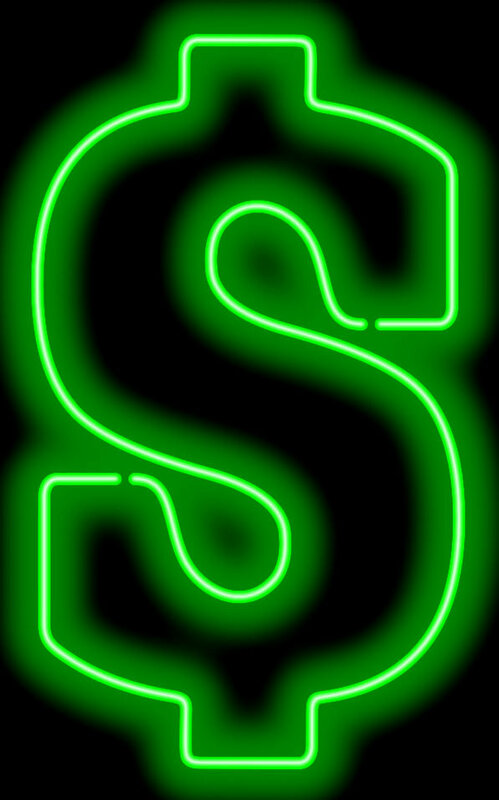 "$" is in Green Neon glass tubing. "Open" is in Red Neon glass tubing. The graphic is Green Neon glass tubing. The graphic is Green Neon glass tubing. "Tax" is in Red Neon glass tubing. The graphic is Blue Neon glass tubing. 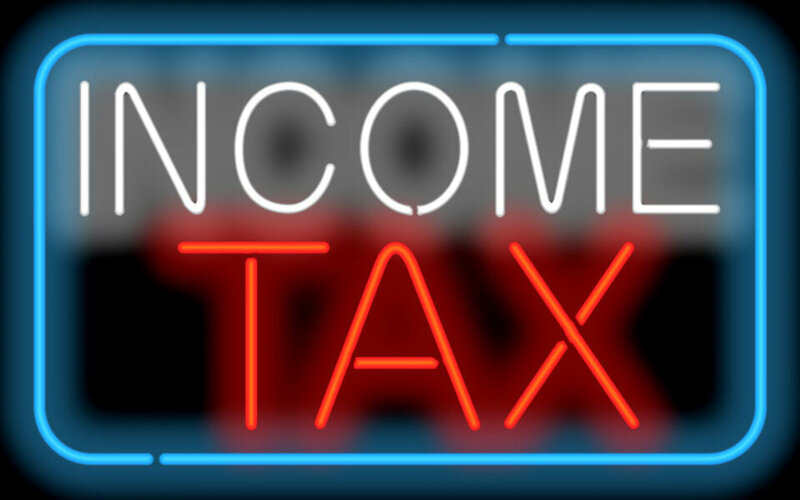 "Income Tax" is in Red Neon glass tubing. "E File" is in Blue Neon glass tubing. 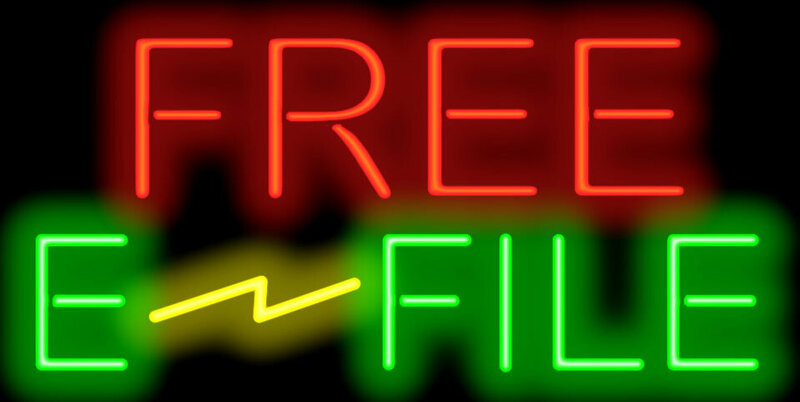 "Free" is in Red Neon glass tubing. 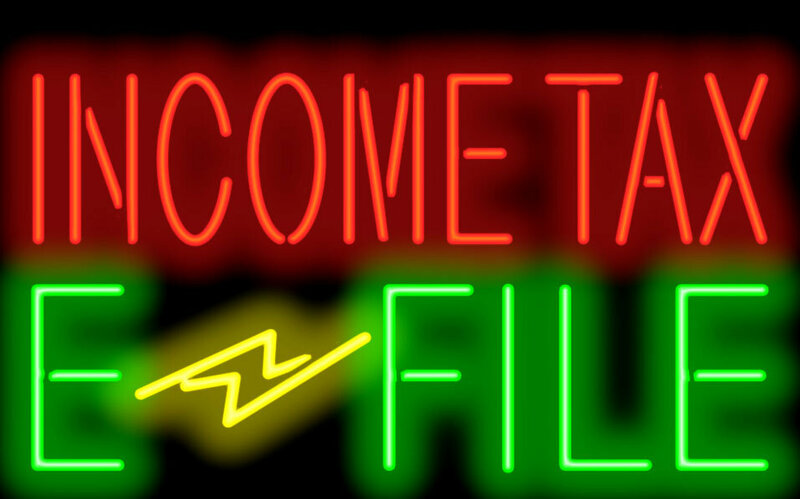 "E File" is in Green Neon glass tubing. The graphic is Yellow Neon glass tubing. "Impuestos" is in Red Neon glass tubing. The border is Blue Neon glass tubing. 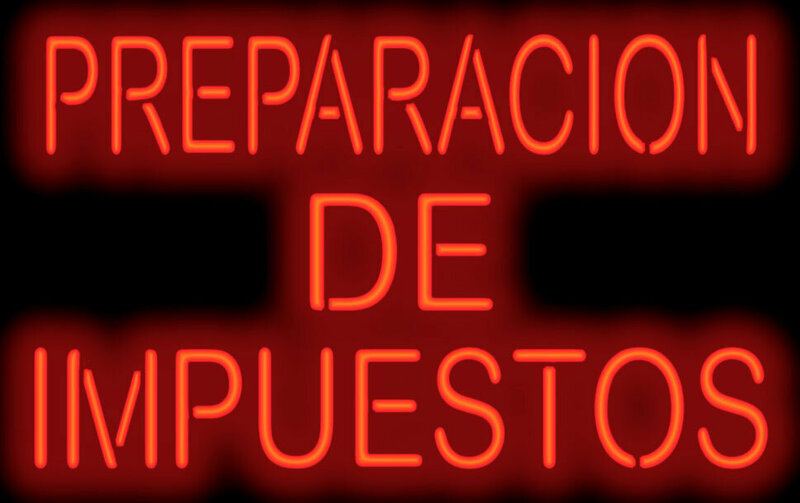 "Preparacion De Impuestos" is in Red Neon glass tubing. 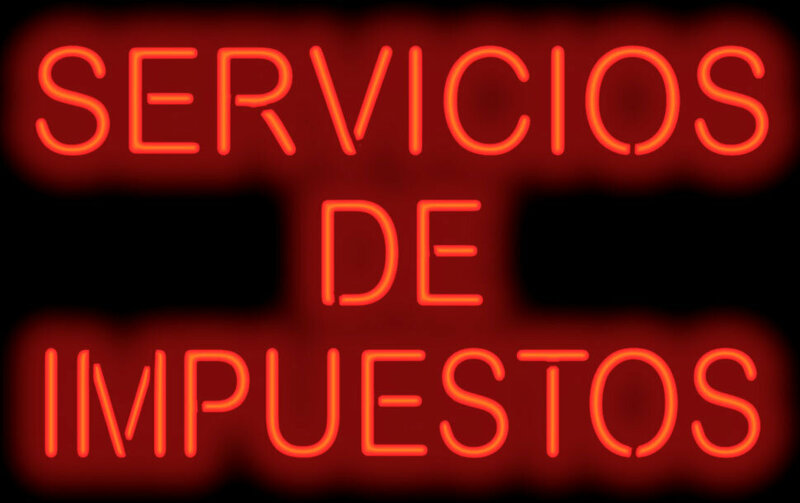 "Servicios De Imputestos" is in Red Neon glass tubing. 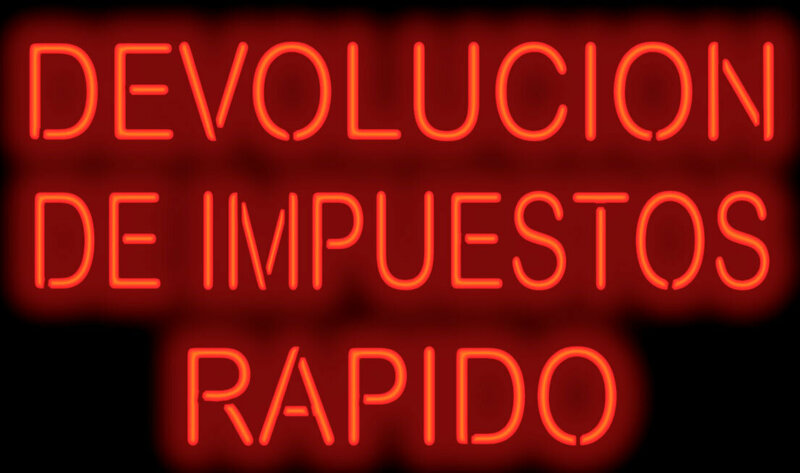 "Devolucion De Impuestos Rapido" is in Red Neon glass tubing.